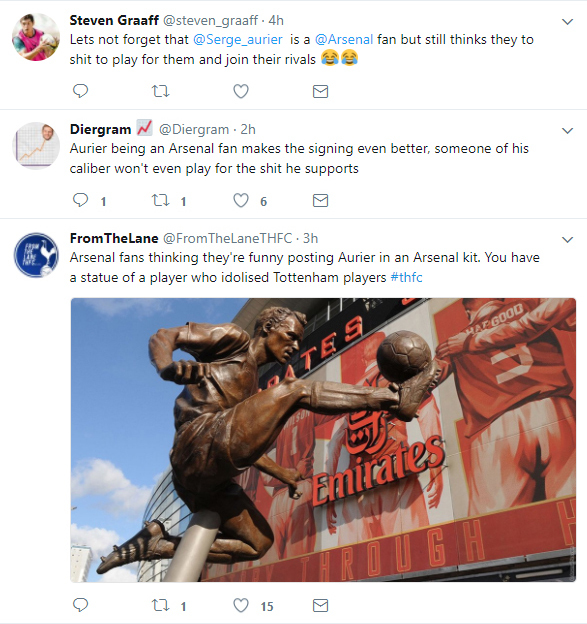 Serge Aurier has just been announced as a Tottenham Hotspur player, but Arsenal fans are already making fun of their North London rivals. 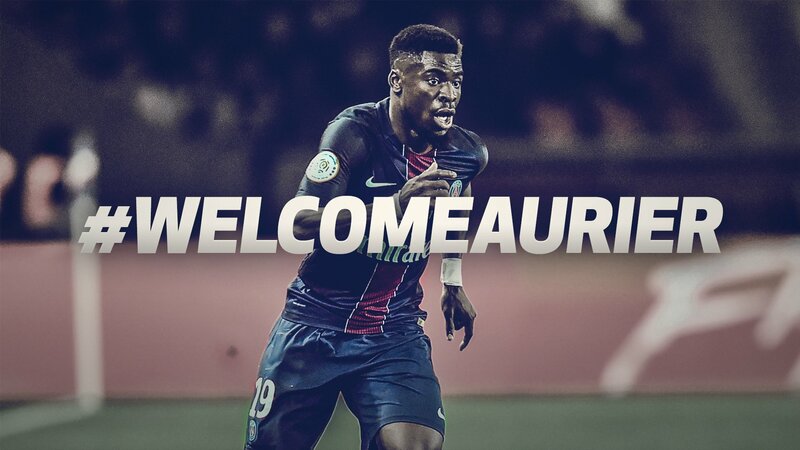 Tottenham completed the signing of Ivory Coast defender Aurier from Paris Saint-Germain on Thursday for a fee in the region of £23 million. However, Arsenal supporters seemed intent on shooting down the good news as quickly as possible by circulating two old photos of the 24-year-old wearing a Gunners shirt. Despite the fact that Aurier posted the pictures back in 2013 when he was still a Toulouse player, Arsenal fans had no trouble in letting Spurs know. Tottenham supporters, though, had comebacks of their own.